This Summer, the Lowcountry Hall, along with science and math faculty at the College of Charleston, developed content for Engaging Creative Minds STEAM (STEM + Arts) Summer Institute. 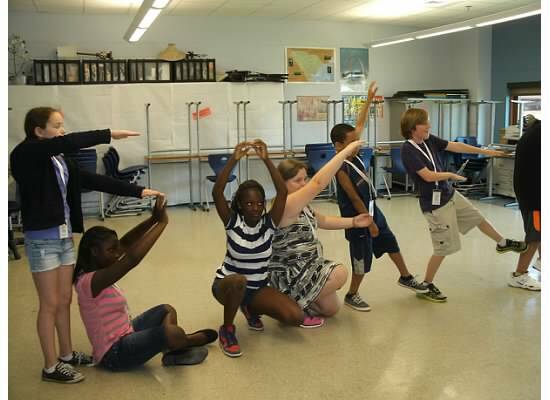 The Institute has been a huge success, involving students from across the lowcountry in learning STEM concepts integrated within the arts. The Lowcountry Hall and School of Science and Math faculty worked directly with the lead teachers and the artists to integrate the varied disciplines. It has been an exciting and creative summer working with educators, musicians, visual artists, storytellers, theatre groups, etc. Read more about our adventures on the Post and Courier website at http://www.postandcourier.com/article/20140714/PC16/140719948.